Continuing the momentum of growth in Johor in Jan, Isuzu Malaysia Sdn Bhd is shifting into higher gears to bring its focus to higher grounds in Cameron Highlands by opening its maiden Isuzu Authorized Service Center through Weng Fatt Otomobil Sdn Bhd that have more than 11 years of solid experience in operation. 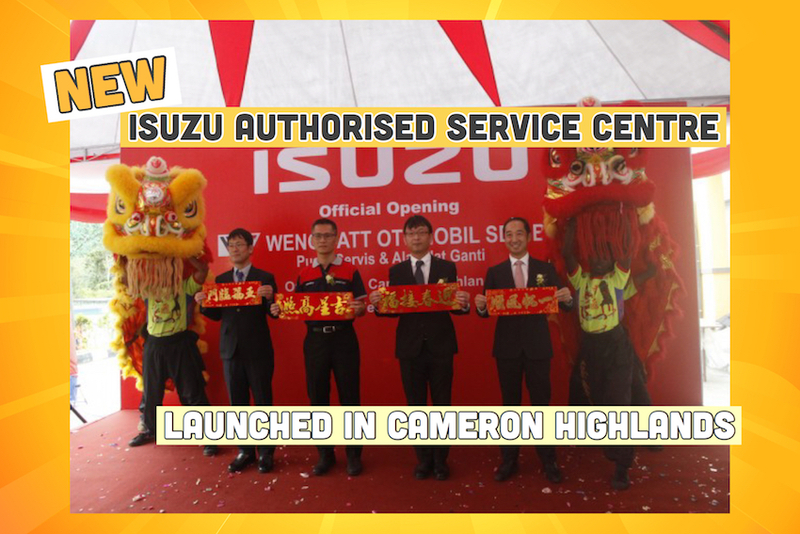 With the opening of this Isuzu Authorized Service Centre in Cameron Highlands, it will bring the total number of Isuzu Authorized Service Centre in Malaysia to 43 outlets. Isuzu Authorized Service Centre, Cameron Highlands is located at No.25, Ground Floor, Persiaran Oriental Lily 1, Taman Oriental Lily, 39100 Tringkap, Cameron Highlands, Pahang and can be reached at 05-2540992 for appointment of service. Cameron Highlands is an important market for Isuzu LCV business as its terrain and road conditions are harsh and challenging, thus the demand for pick-up trucks are ever growing. This demanding working environment will require routine service due to higher wear and tear. With the aim of providing an unparalleled user experience to Isuzu owners, the quality of regular service interval should not be neglected. With convenience in mind, Isuzu Authorized Service Centre, Cameron Highlands aims to provide hassle free to Isuzu owners as they do not need to travel far to an Authorized Service Center like they used to. The inception of this Isuzu Authorized Service Centre also aims to provide high quality genuine parts and top notch services by highly qualified Isuzu trained technician to serve and complement the growth of the LCV market in Cameron Highlands, targeting to service 300 units of Isuzu LCV during its 1st year of operation.